Apparently when you’re judged by your peers to be the most outstanding player in the NHL, Christmas comes early. That was the case for Sidney Crosby when Pittsburgh rolled into Toronto on Thursday evening. 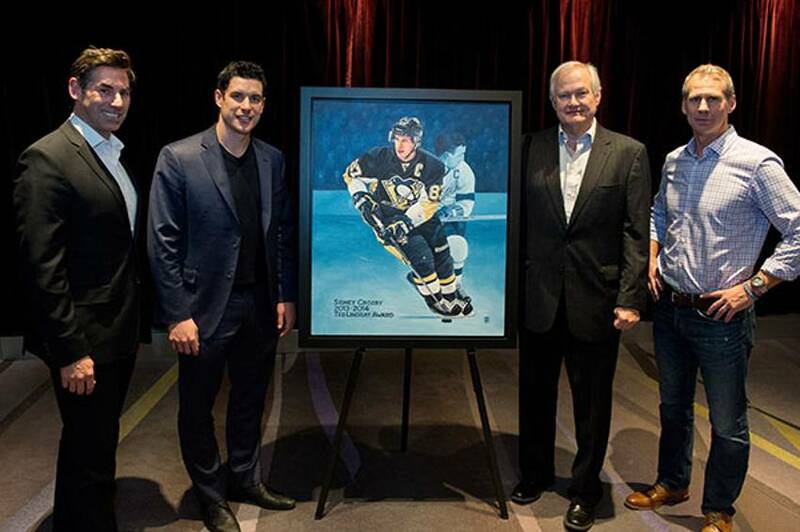 The Penguins marquee player was feted by the NHLPA in recognition of his 2013-14 Ted Lindsay Award. 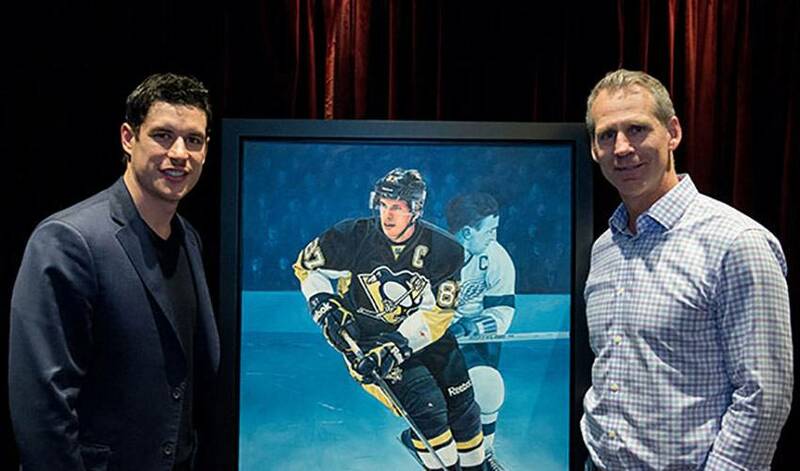 As has become tradition, Crosby received a personalized painting courtesy of Ottawa-based artist Tony Harris, and a custom chronograph from Breitling Canada. NHLPA Executive Director, Don Fehr, as well as former player and current NHLPA executive Mathieu Schneider were in attendance to help present Sidney with his Ted Lindsay Award gifts and congratulate him on behalf of the players and staff of the NHLPA. Crosby has picked up where he left off last season with the same kind of play that saw him selected by the members of the NHLPA as the Ted Lindsay Award recipient. The Ted Lindsay Award was the third ‘Most Outstanding Player’ award in Crosby’s career.